Any Harry Potter fans out there? I have got something special just for you! As you probably know, Harry Potter’s Birthday is tomorrow! (Let the Harry Potter Parties commence!) 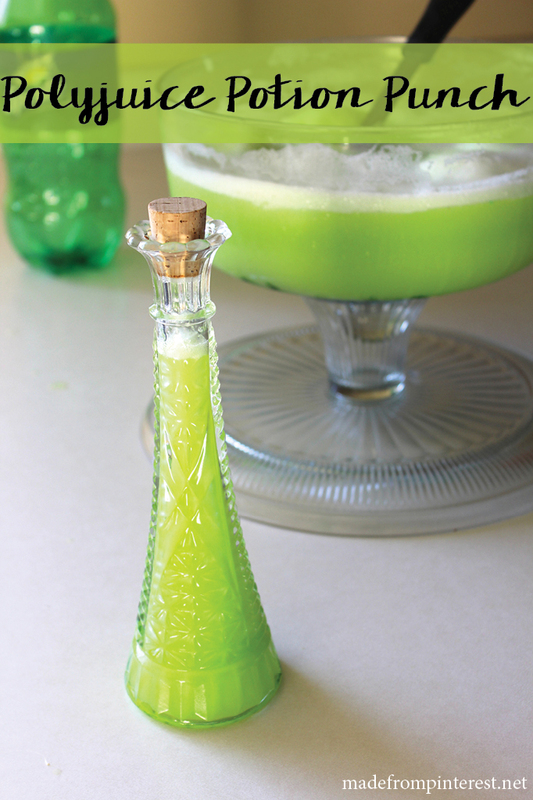 I’ve got an awesome Harry Potter Polyjuice Potion Recipe to help you celebrate! This recipe looks and tastes amazing! The best part? It is crazy easy to make too! 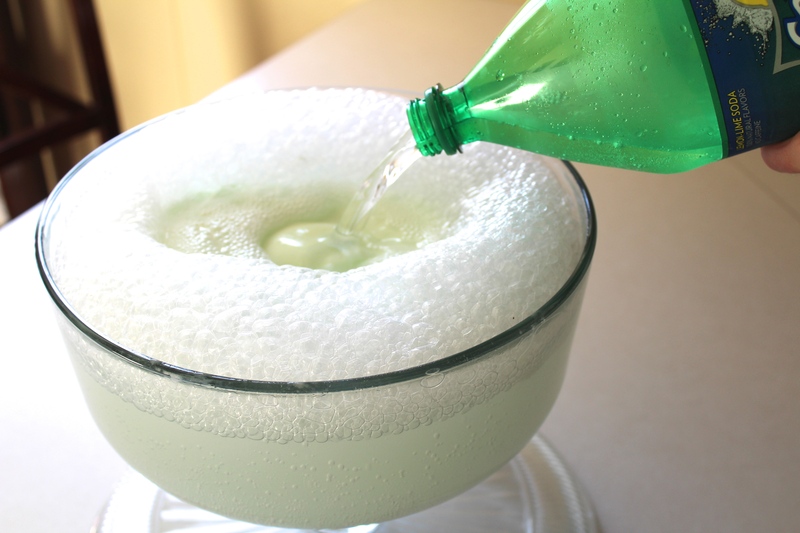 All you need is a little Sprite and lime sherbet (and food coloring if you want the green to really pop)! I got this idea when I saw some fun Harry Potter potion roundups and started searching for non-alcoholic versions. 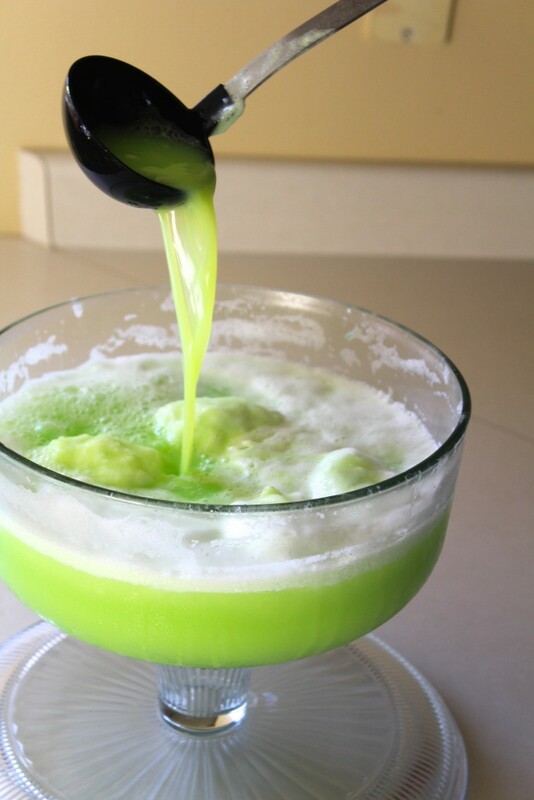 I found a vibrant green Polyjuice Potion Punch on Pinterest from Cooking with Curls and fell in love with the color! She adds Vodka in her punch recipe, but it was easy to make this recipe non-alcoholic for a kid-friendly version. I’ve really missed the Harry Potter craze. The midnight book selling parties and movie premieres with fans decked out in costume. Now that the series is finished…there are a lot less opportunities to get together with my fellow book nerds and party. Thank heavens for Harry Potter parties! If you want to see other awesome Harry Potter Party ideas you need to check out the blog Raegun Ramblings! She has put together more Harry Potter roundups than I have ever seen! As another surprise for you, we’ve teamed up with our Harry Potter obsessed blogger friends to bring you a sweet giveaway package! 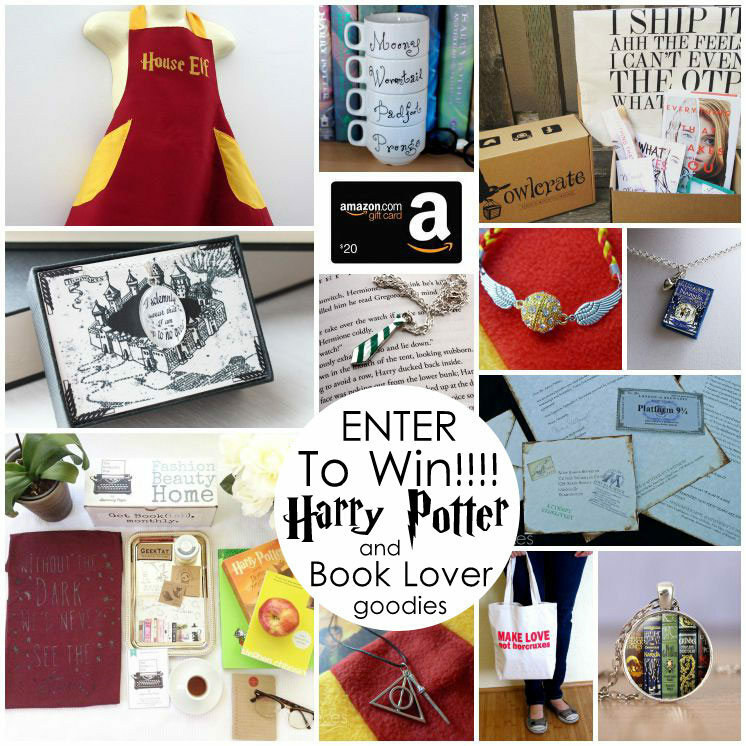 Enter below to win some awesome Harry Potter swag! And now for the Polyjuice Potion Punch recipe! This is seriously so easy to make! Consider it potions 101! 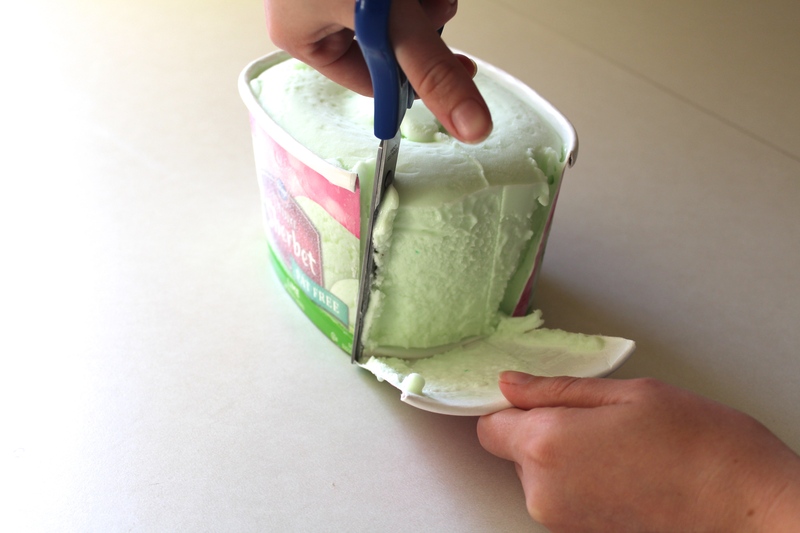 Use scissors to cut open the lime sherbet carton and place it in your punch bowl. Slowly poor 2 liters of Sprite into the bowl (it will bubble and foam). Add a few drop of the food coloring, until the green really pops!